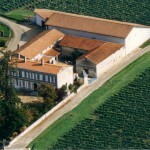 Is Château Chevrol Bel Air the best value wine in Bordeaux? Of course, that’s impossible to prove, but it would nevertheless be one of my top candidates! As someone who is not only a lover, but also a student of wine, I rarely purchase by the case in order to taste a greater variety. But Chevrol Bel Air is an exception because is so reasonably-priced and so good. I went to see the owner, Vincent Pradier, last week. 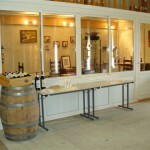 He provided me with some background information and a tasting of four vintages. 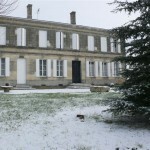 Let me start off by saying I have a soft spot for Lalande-de-Pomerol and am a member of the local vinous brotherhood, Les Baillis – http://www.lalande-pomerol.com/baillis.php. Chevrol Bel Air has been in the Pradier family for three generations. The 20 hectares of vines have an atypical breakdown: 45% Merlot, 45% Cabernet Franc, and 10% Cabernet Sauvignon. This is far more Cabernet at than neighboring estates. 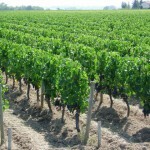 The vineyard is in a single block on clay, sand, and silt soil on the Chevrol plateau. The subsoil also contains some of the crasse de fer (ironpan) found in Pomerol. The vines are an average of 50 years old. 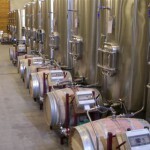 Part of the wine’s charm is due to the fact that it is not oak-aged. Vincent’s father nevertheless devised a patented system (see photo) whereby wine in each stainless steel vat is pumped through one barrel to provide controlled oxidation via a regular flow. Vincent is proud of his 2012, which is quite successful for the vintage. The 2011 is even better with a briary, ethereal, understated nose and a fluid, rich, thirst-quenching sort of flavour. The 2010 is a more serious wine with greater ageing potential than the two previous years. Chevrol Bel Air’s trademark smoothness has to contend with some tannin here. And then there’s my favorite, the 2009, that is a full-bodied sensual wine that it almost Burgundian in its silkiness – until the aftertaste, when Bordeaux tannins assert themselves and give structure to the wine. I would put this wine up against any other in its price category from anywhere in the world! Posted in Uncategorized and tagged Bordeaux, Lalande, Pomerol on September 16, 2014 by AlexR.